As you can see I am a little late posting about this fantastic event. I have been processing what I would like to say about this event as I really wanted to give the women’s expo the praise that it deserved. Let me tell you – IT WAS FANTASTIC! 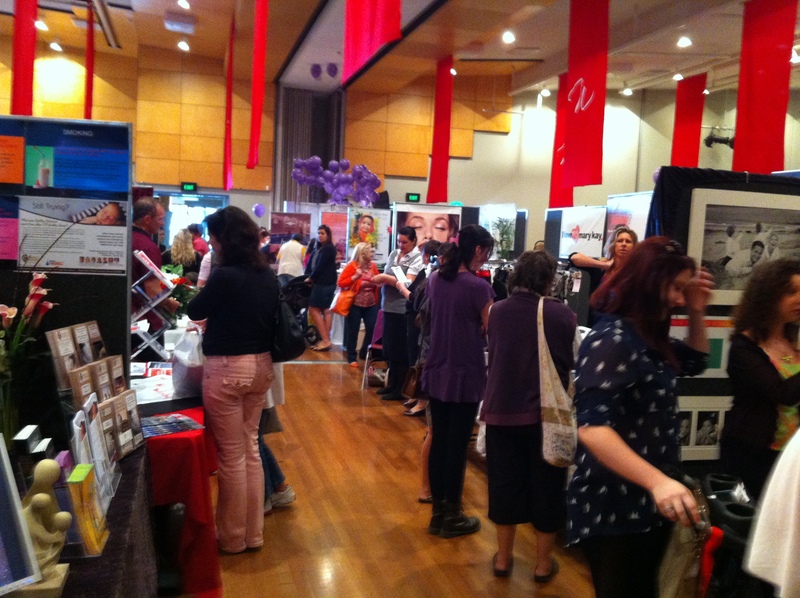 Now, if you know me – you know that I Looooove womens expo’s. I love kids expo’s and markets, I love Work at Home Mums showing off their wares, I love hearing about women who started with nothing and have worked their business into a massive empire! Women who are inspired to go into business and fulfill a dream – Women with drive are Amazing!!! As I wandered and weaved through the maze of excited women selling their wares and their concept I felt really encouraged. Women are incredible passionate beings. Since the expo I have heard many different women from all walks of life sharing their expo experience. Many said that the work shops were amazing and they felt encouraged, inspired, educated and renewed! I was unfortunately unable to go to any of the workshops this year, but I have bought a couple of books that I am really excited about getting in and reading. ← Did you miss me…!